While the fitness industry has grown significantly over the past twenty years, obesity rates and lifestyle-related health issues continue to climb. If providing “state of the art” exercise facilities with “cutting edge” exercise programming were the answer, we as an industry should have helped significantly reduce these issues by now. But this has yet to happen. For millions seeking healthy change, a different approach is needed. One approach that has quietly emerged to address these issues is lifestyle coaching — or, as it also known, health and/or wellness coaching. Lifestyle coaching uses a sophisticated combination of interviewing skills and goal-setting strategies to lead clients to manage healthier behaviors. While lifestyle coaching will follow a similar process, it is not to be confused with life coaching. Life coaching typically addresses personal development matters including career, relationships, and spirituality. Lifestyle coaching, in contrast, focuses directly on matters that influence physical and mental health by helping clients to cultivate a “mind-body” relationship while providing guidance in the three major areas of overall wellness: exercise, nutrition and stress management. 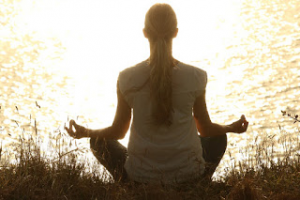 The “mind-body” or “holistic” approach to wellness utilizes an approach that is “grounded in the powerful ways in which your body, thoughts, emotions, social, and behavioral factors can directly affect each other” (Ray, 2004). This can lead to lasting improvements and establish lifestyle trends where traditional training has fallen short. 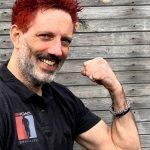 Lifestyle coaching is essentially designed to attract, address, and connect with a part of the population that traditional fitness practices typically miss. You only need to look beyond the first few weeks of every new year to see exactly why coaching is not only relevant in our industry, but needed. Fitness and weight loss goals continue to be among the top new year’s resolutions (Norcross, 1989) and resolution failures (Polivy & Herman, 2002). If your client states, “I start out great and am motivated for three weeks. But then I lose my motivation and I stop,” then perhaps boot camps, new equipment and creative dance routines are not the answer. 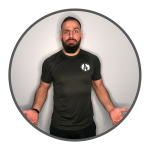 A more sophisticated understanding of the client, along with a more comprehensive approach to addressing individual goals through coaching strategies may need to take the place of the highly touted “killer workout” and the classic conceptions of personal training. While personal training focuses on establishing fitness related goals and providing exercise recommendations and instruction to the client, coaching assumes a more holistic approach that encourages investment in facilitating change and developing healthy lifestyle trends. The strategies of lifestyle coaching ultimately prioritize behavior change over specific fitness programming remedies. This is not to say that fitness expertise will not enter the relationship but, rather, it acknowledges a simple fact: fitness cannot improve in meaningful and lasting ways without the establishment of lifestyle change that incorporates multiple facets of wellness. For millions struggling with improving healthy habits, attendance is typically one of the biggest challenges. Therefore, by providing step-by-step support and guidance across a range of behaviors, coaches literally help clients develop greater consistency and self-reliance regarding their health habits. It is this model that helps pave the way for more traditional exercise prescription. However, in order to understand lifestyle coaching on its most basic level — and those who will ultimately benefit most from a coaching-oriented program — we must first address the core elements of coaching: screening and assessments, interviewing skills, and the coaching process itself. Screenings and assessments are commonly-used terms that are often used interchangeably. However, screenings and assessments are fundamentally different, although they will work (systematically) together. Simply put, screens check for risk while assessments attempt to identify cause. In short, screens tell us what needs to be assessed and where to begin. A properly administered screening process will help ensure the coach can identify and address the client’s greatest needs, which may in fact be their greatest weaknesses. In the case of the coaching client, the greatest needs will likely revolve around habit change and problem solving. But first, the screening process helps identify who the coaching client is. 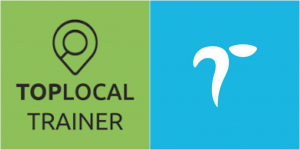 Traditionally, fitness questionnaires focus on the specifics surrounding exercise details. However, they tend to miss the mark on identifying a client’s lifestyle habits — habits that ultimately have an impact on exercise adherence and therefore the very success of reaching his or her desired goals (Heyward, 2006). Thus, it does not make sense to provide the same standardized questionnaire for an experienced exerciser and for an inexperienced client. A basic, yet comprehensive screening process can easily help identify whether we are working with a client who is ready for a specific exercise program, or if the client meets the criteria for coaching. A small combination of general questions can quickly screen a client’s likelihood of exercise adherence. In other words, questions should attempt to screen the risk or probability of the client’s ability to maintain consistent, healthy habits. Do you tend to start and stop exercise routines? Do you struggle to maintain a healthy lifestyle? It is those people that respond yes that may ultimately be best suited for a coaching program rather than jumping immediately into a detailed exercise program. With that in mind, the assessment process will devote attention to past experiences and explore factors that have influenced perceived failures. This can provide the coach with valuable insight into the client’s strengths, challenges, and barriers, as well as provide a framework for the next steps in the coaching process. After a coaching client has been identified, and an agreement has been established, the coaching process can begin. While Butterworth’s article deals primarily with clinical treatment, his findings are nonetheless applicable to the fitness world and lifestyle coaching. Regardless of a coach’s ability to identify problems and determine efficient and effective treatment plans, it will ultimately benefit clients more if they can be supported in accessing and discovering this information for themselves. Exercise science may suggest recommendations for exercise for the population, but effective coaching will help the client identify what is realistic and achievable for him or herself. Often, a client’s expectations may be unrealistic and tend to precede a structured plan. This may lead to poorly devised strategies, resulting in overwhelming feelings of insurmountable goals and eventual cessation of efforts. Success and failure may ultimately be predetermined by the plan (or lack thereof) and expectations set in the beginning. One of the most critical steps in the coaching process is to devise a detailed and comprehensive plan based on research-driven, goal-setting strategies. 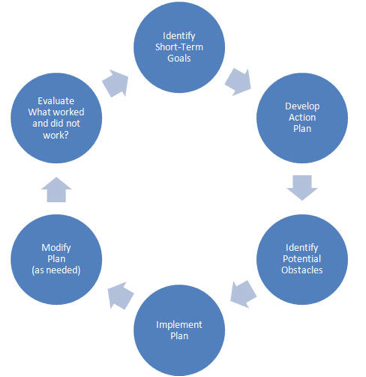 “Goal setting has the potential to be an important facilitator of behavior change. Setting specific goals provides a potential strategy for organizing nutrition and physical activity information and skills into practical and manageable steps” (Shilts, Horowitz & Townsend, 2002). In order to best to support clients through the goal-setting process, it is important to identify the discrepancy between the client’s current situation and his or her desired state (Miller & Rollnick, 2002). Additionally, it is important to address any ambivalence in a healthy and productive manner. Part of the coach’s role is to encourage and guide the client through the process of goal development, “maintaining an enabling style, to avoid slipping into a directive approach” (Passmore, 2010). Accordingly, a coach will refrain from providing advice unless absolutely necessary. Rather than offering advice, a coach will challenge a client to make more meaningful and well thought out goals. Coaching will lead clients to create realistic goals and an action plan that focuses on individual behaviors that will ultimately lead to the desired results. 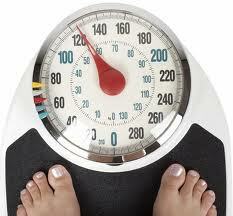 For example, imagine a client who states her goal is to lose 30lbs (13.6kg). While the goal sounds specific, it is far from detailed. A coach will challenge the client to break down the goal into more specific and detailed parts. This is far more involved than simply asking a client to consider adjusting her weight-loss goal to smaller increments. Rather, the coach will steer the client towards identifying specific, individual actions that will realistically fit into her life. For example, instead of suggesting a client workout 3 to 5 days a week, the coach will ask the client to determine how many days she can realistically fit in during the week. 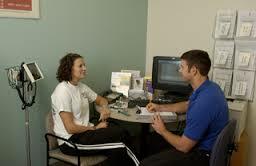 A coach can then ask the client to schedule specific days and specific times she plans to exercise. This may sound like common sense and very well may be what many are already doing. However, an additional step is often overlooked, and is one of the most critical elements of the coaching process: preparing the client for all potential obstacles. The coach should challenge the client to thoroughly explore any potential barriers that could interfere with her action plan so an alternative plan may be implemented. This will help prevent the client from being caught “off guard” when faced with a challenge. Without this simple step, the client may continue to struggle regardless of how great her intentions are. 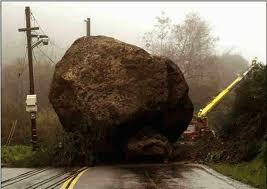 Sometimes the stronger the intention, the more demoralizing it can be when an obstacle disrupts the action plan. This step not only teaches clients how to maintain flexibility within their plans, it helps them visualize their actions and options before they happen. This allows the client to develop more confidence to stay on course and develop tangible, solution-building skills. Obstacles that previously resulted in “defeat” can now create small victories. These steps may appear small, but for someone who has struggled to maintain a healthy lifestyle, understanding ways to overcome obstacles can greatly boost morale and generate greater awareness of options. This takes typical goal-setting to a far more detailed and comprehensive level and should not stop with exercise scheduling. The coach will take an equally active role in helping the client address healthy nutrition habits as well as strategies for managing and reducing stress. For maximum effectiveness, this process should take place frequently — at least once per week in the earliest stages. However, before setting new goals for the upcoming week, a thorough evaluation of the previous week’s goals will provide a great opportunity to explore what worked well and what may not have worked well while it is still fresh in the client’s mind. For any goals that were not met in the previous week, a similar breakdown approach should be applied. Critical questions should first determine if the goals were realistic. If it is determined that the goals were not realistic, naturally appropriate adjustments should be made for the upcoming week. If it is determined that the goals were not out of reach, a thorough assessment of the obstacles that interfered will provide insight towards even stronger strategies for the next week. 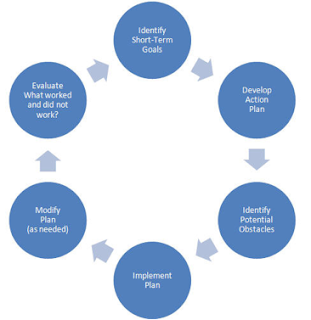 The chart below provides a visual framework for the goal-setting process in lifestyle coaching. With diligence and practice, it should be evident that a client can begin to develop and improve their own skills in goal-setting and problem-solving. As the client develops more self-reliance, the coach can begin to assume the role of a more traditional fitness expert as needed. The coaching process may be a radical shift for many fitness professionals. 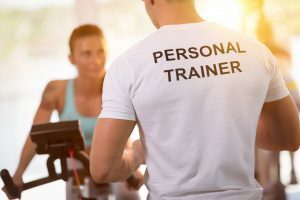 Personal trainers are used to providing advice to their clients. Refraining from offering advice and instead drawing answers out of clients takes practice, unique communication skills and a shift from common practices. Traditionally, personal trainers have emphasized the numbers associated with exercise: sets, reps, resistance, distance, time and frequency. The lifestyle coach won’t ignore these numbers, but realizes that these details may not be the highest priority and may actual confuse and overwhelm a struggling client. Interestingly, even if a client’s goal is to lose weight, the coach may place little focus on scale measurements for tracking progress. Instead, the measurements that are most important at this stage include measurements of adherence or attendance — not necessarily changes on the scale. 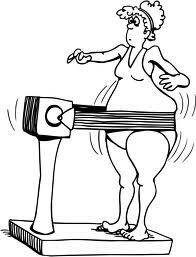 The scale simply acts as a barometer to guide modifications within the actions for future goals but is not a measurement of failure or success. The coach realizes that weight loss is not an action; it is a result of actions. Therefore, the focus should be placed on adherence to the actions that will lead to weight loss, or whatever the goal may be. The mission of the health and fitness industry is to remedy the general public’s health and fitness desires and struggles. However, the most accessible elements of the industry are typically geared toward and more comfortable for the fitness enthusiast, which may alienate millions of people in need of our assistance. For the past few decades, we have asked people to learn what we know. But if we look closely at our own fitness model, we see countless people struggling to keep up with our suggestions. Perhaps it is time for us to learn from them. Perhaps society’s struggles reflect our own weaknesses as an industry and indicate what we need to do to make a bigger impact. Coaching is an effort to remedy this and is a much needed addition to our practice. It may be the missing link for many. 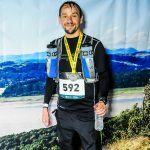 Just as a coach would ask clients to evaluate what is and isn’t working and generate strategies for improvement, we can follow the same advice by expanding our own knowledge base to suit the needs of the potential fitness clients that await us. Then, perhaps, our success as an industry may finally result in the improved overall wellness for our society.